ILS congratulates our dear friend and frequent collaborator, Father Joseph Corpora, CSC, on his selection as a Missionary of Mercy by Pope Francis. Read the full story by Michael O. Garvey below. Rev. Joseph Corpora, C.S.C., director of university-school partnerships for the University of Notre Dame’s Alliance for Catholic Education (ACE), has received a mandate from Pope Francis to be a Missionary of Mercy. The Missionaries are some 800 priests worldwide selected by the pope to be special confessors and “living signs” of God’s forgiveness during the Holy Year of Mercy officially proclaimed in his letter, Misericordiae Vultus (The Face of Mercy), last year. Father Corpora will be among those traveling to Rome to meet with Pope Francis and to be commissioned on Ash Wednesday (Feb. 10) in a celebration at St. Peter’s Basilica. 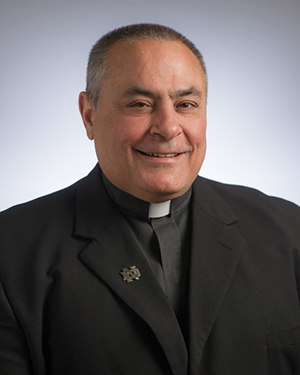 In addition to his work with ACE, Father Corpora works in Notre Dame’s campus ministry, serving as chaplain to Latino students. He also is a priest-in-residence in Dillon Hall. Originally published by Michael O. Garvey at news.nd.edu on January 14, 2016.